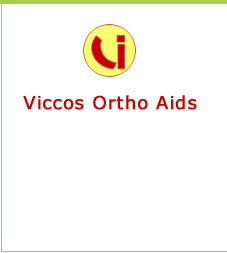 Viccos Ortho Aids provides range of general rehabilitation aids like Wrist Weight Cuff, Ankle Weight Cuff, Orthopaedic Stockinett, Arm Tourniquets, rehabilitation products are used in knee Leg and Wrist Exercise. Also helps in complete progressive exercises or therapy programmes. It is the only weight belt needed for a complete progressive exercises or therapy programmes. It is fitted with a long and double safety hook and loop closure for adjustment and secure fitting. The four sewn weight pockets permit the cuffs to bend freely and conform to a wrist or an ankle. 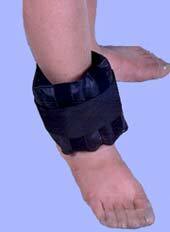 can be used for both wrist or ankle . A greater range of movement can be achieved during exercise because the weight cuff does not slips or slides even during the most strenous pragramme. May be used for knee, Leg and Wrist Exercise / Rehabilitation.